--The trumpet near the beginning of the development in I...truly sounding like the cry of the universe. --The tam tam in all the movements (the darkest I've heard...Sanderling does come close though). --The flow of the Scherzo despite the upheaval in tempo...somehow it really works. Also the high piercing piccolo...wow. Gielen is great here as well. --The Finale actually sounds scary, and dangerious...again thanks to the VPO...what execution, they really sing this symphony through and through. I am not all that hot about Lenny's VPO version. Over the years I have repeatedly said I don't care for Lenny's rather blazing treatment of the first movt. and I'd still stick with the verdict. I am saying this because the rest of the symphony, II.-IV. are rendered very differently and in many ways 'correctly'. That is, Lenny goes after steady, heavy tempo and well balanced orchestral timber. But this is precisely what's not persued in the opening movt. The timings also suggest Lenny's inconsistent and contrasting views in the outer movts. : I - 23 min, IV. - 34 min. Even the playing by VPO is somewhat uneven and insecure in I. For these reasons, I prefer his old NYPO recording on Sony. As for the Karajan/BPO/DG, I'd endorse III. and IV. but can't live with the first two movts. I'd have liked I. if it had been for the coda which is dashed at a break neck speed losing much of the gravitas and impact that Karajan and his players have managed to pile on up to that point. The Scherzo is not well organized and lacks focus. Maybe, on another thread, a member here can explain to me what is it that I am missing about Horenstein’s Mahler. I have found them all dreadfully performed. Was there not enough rehearsal time? Also, did he approve all of the releases or were many done posthumously? I once fell out of favor with this M6...same with the Karajan...yet upon returning after a long break I discovered that yes, I feel these accounts reveal the spirit of the M6 more than any other I've heard. And I may add...perhaps it is the nostalgia of first hearing these particular recordings when I was first discovering Mahler that draws me to them? For me, it's the trumpet cry in the development of I that keeps me returning to the Bernstein...yes, it may be somewhat over the top...but it is so powerful and dramatic I forget about everything but the music. As for capturing the spirit of the M6...I'd also include the Haitink live LSO M6 that was never released...the most balanced M6 possibly. I don't mind the tempo rush at the coda in Karajan's 1st movement...it adds a false note to the heroic sounding passage that feels real to the mood of the work as a whole. Mitropoulos / WDR Sinfonieorchester Köln: my favourite one, with no doubt. In my opinion, no other conductor has reached such heights of expression: I like his perforating sonorities, which I find especially fitting to this work. Horenstein / Stockholm. This was one of the first versions of this work I ever heard, and I still remain very affectionate to it, although it seems that the other Horensteins' performance (with Bournemouth) is preferable. and a runner up is Barbirolli/New Ph. I'm psyched about seeing this documentary. After all, how often is Mahler the focus of a movie? I was hoping a local film festival would show it this year, but that's sadly not the case. I've mentioned it before, but even though I'm no big Berlioz fan, Zinman will do the Damnation of Faust here in April. I genuinely like Zinman, but he never does a work I like when he guest conducts. Of course, maybe if I go, he'll make me a convert. If the music gods are listening...how about a Zinman led Mahler symphony for the SLSO 09-10 season? What do I win if I "call it?" I don't know if I even have 5 versions of the M6, but I like both Bernstein versions and the Chailly. I have Karajan's, and there are parts I admire, but I can never get over the weird sound. I also have Bertini's, which I think is okay. I'll have to listen to it again, but my initial thoughts were you could kinda tell it was one of the early ones in his cycle. I'll have to re-evaluate that, though. I heartily endorse the Sanderling St Petersburg M 6. Wonderful performance, dramatic without being hysterical as Leo mentioned. A wonderful, flowing, well presented performance. you are right. The playing in all these releases of Horenstein M performances is very bad, as are the recordings. As for his music making, this considered to be somehow authentic vienesse and central-european, something that i can not thing so much. But the journalistic( especially the british one, of course) group estimated him too high. 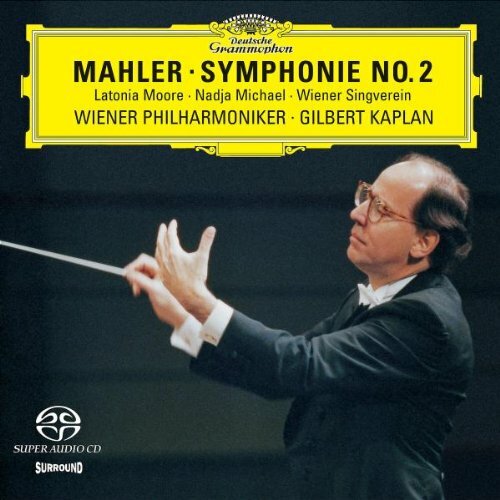 The same as Barbiroli's Mahler, and I see with great satisfaction the opinions of David Hurwitz, who values Barbi's Mahler with scores like 2.
you are right. The playing in all these releases of Horenstein M performances is very bad, as are the recordings. Cleveland/Dohnanyi: probably my favourite M6, a fairly straight interpretation with superb playing and real depth to the sound. Lots of detail brought out but the whole conception is not undermined. A couple of people on Audio Asylum have highly recommended the Cortese/Manhattan School of Music recording on Titanic, both for performance and sonics. Has anyone here heard it? Is the original Bernstein/VPO/DGG disc the same one as in the 2005 reissue as MAHLER II. The Complete Recordings on Deutsche Grammophon Vol. II. Symphonies Nos. 5-7? Thanks for the heads up on the Boulez...have to revist that one...and perhaps the MTT as well.